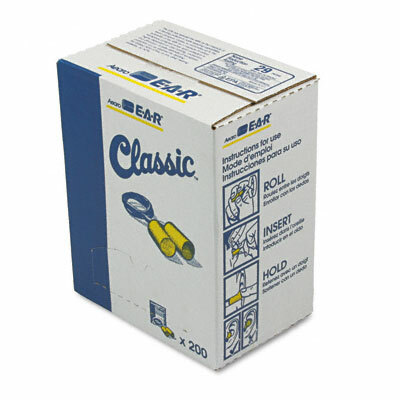 Cylindrical shape provides better protection than taper style plug. Provides comfort and a high level of noise reduction. Safety cord helps prevent loss. Unique, nonirritating PVC foam gradually expands and conforms to ear canal. Come in a convenient dispenser box Cylindrical shape provides better protection than taper style plug. NRR 29dB. One pair per polybag; 200 pairs per box. Provides comfort and a high level of noise reduction. Safety cord helps prevent loss. Unique, nonirritating PVC foam gradually expands and conforms to ear canal.